“Today, D.C. Councilmember Elissa Silverman (At-Large) introduced a bill requiring property sellers in D.C. to disclose knowledge of any Stop Work Order issued on a property under consideration for purchase. The “Stop Work Order Disclosure and Regulation Amendment Act of 2016” will increase consumer protections by providing homebuyers with necessary information to make an educated purchase decision. The bill, which was co-introduced by Councilmembers Anita Bonds (At-Large), Mary Cheh (Ward 3), and Jack Evans (Ward 2), came as a result of resident testimony at oversight hearings on the District’s Department of Consumer and Regulatory Affairs (DCRA). 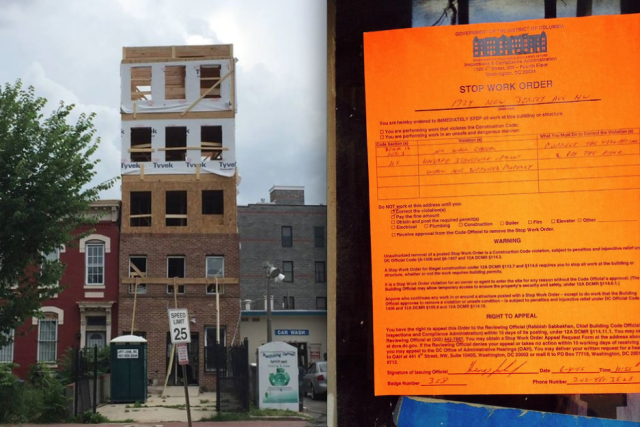 A Stop Work Order indicates that a DCRA inspector found the renovation of a property to be substandard, or otherwise in violation of issued permits. A physical notice is posted at the property, which requires all construction work be stopped until the violation is resolved. At a DCRA oversight roundtable in July, residents testified that, in some cases, the property owner or general contractor removed the Order notice and continued work in violation. The homebuyer then purchased the property with no knowledge of the Stop Work Order or the underlying violation.